Because of a family issue, I had to miss last week’s CPAC. Along with missing the great speakers, and losing the opportunity to out with the best and brightest of conservative blogging, one of my biggest disappointments was not being able to spend time with someone who has become a good friend over the years Ian Walters, communications director of the American Conservative Union, and the guy who runs CPAC. I know Ian to be a sensitive person, someone who is tolerant of people no matter their race, religion, ethnicity, but even those with an arrogant sense of self-importance. Ian is a man who not only believes in the ACU but a strong proponent of conservatism. 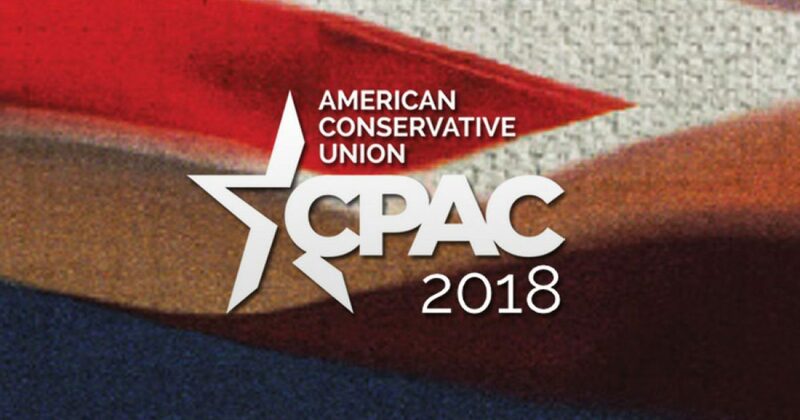 CPAC 2018 was historic in many wonderful ways. As part of that celebration, I was surprised to be called on to the stage in recognition of 20 years of service to CPAC. Unfortunately, one of my comments has since been grossly misconstrued in ways that have hurt people I respect and in ways that have left me open to the worst sorts of accusations. Those who know me understand exactly what I said and meant, and for their support, I will always be grateful. For those who perennially look for ways to attack CPAC, I, unfortunately, became their next target of opportunity. However, I do not need to be lectured to about the courage it takes to be a person of color in conservative politics, and I certainly do not need to be lectured to by white liberals or fake Republicans on MSNBC about what it means to be a person of color in today’s America. Talking about race isn’t racist. If anything, Michael Steele’s skin color is a virtue, as I am sure like me he has received endless attacks for having the audacity to stand up as a Republican. It’s simply his mismanagement of the party that was his failure. But my beef was never with Steele. It is with those Republican leaders who cheaply believed that elevating him meant that there was no need to talk any further about our failures on race, as a party and as a nation. I believe in the core of conservative values I was raised with: personal freedom, personal responsibility, and deep appreciation for the freedoms America affords her citizens. Those values do more to bind me to a community of American conservatives than any kind of identity politics I might get caught up in as the proud son of proud immigrant parents who taught me to work harder than my white counterparts and that, in any leadership role I earned, the expectation would be to represent not just myself but an entire community of people who looked like me. But I see how identity politics is shaping the discussion across the American political landscape — liberal and conservative — and how it has changed the tone and coverage of the discussion over the 20-plus years I have worked in politics. This became more pronounced with the election of President Obama in 2008, when legitimate disagreements about policies and the role of government almost always were framed as instances of racial animus. Many in the GOP then assumed that we would not win minority voters unless we had a leader who could personally appeal to them. So, in 2009, the RNC took a risk on someone without the usual managerial experience that the job requires. Many celebrated his ascension as an opportunity to begin the tough conversation on race issues we needed to have (I was one of them!) because, generally, conservatives have not done well addressing the needs of minority communities. However, others supported him as a simple tactic to present the best made-for-TV representative we could muster in response to the historic election of our first African-American president. I could spend a lot of time explaining why the selection of Michael Steele was counter-productive, but we all remember the stories of how he promoted his own book instead of promoting the RNC, how he allowed his staff to expense trips to strip clubs, how his cronies set up shop in Tampa, and the dreadful hip-hop makeover he promised. By contrast, his predecessor, the dry but by-the-book Mike Duncan, provided comparatively steady leadership. Steele served only one term, eventually removed by the party and replaced by someone they thought could fix the messes he left behind. I have not previously criticized Steele’s performance in a public forum, but because my words have been so badly misconstrued by those who mean to harm the conservative movement, I have been left in the awkward position of having to deliver an unsatisfactory report card on his chairmanship and the people who thought his selection would paper over serious problems that require more than mere window dressing. Folks, Ian Walters is a really special person, who not only manages the complicated puzzle of assembling CPAC, is a brilliant musician, a good friend and most importantly a good husband and father. Liberals like to find a way to unfairly attack a conservative. Usually its a public person like a politician or political wannabe, or a spokesperson for a particular interest. Ian Walters spoke as a reward for his two decades of service to CPAC spent in the background. He is not a politician or a spokesman, just a regular guy whose role is to help others get out their message. It is sickening that liberals chose a regular guy, a good person and twisted his words to make him their latest target–shame on them.